JAKARTA (Reuters) - Indonesian Vice President Jusuf Kalla, who opposes legalising marijuana, doesn't mind the drug being used in cooking, a newspaper reported on Wednesday. "It's alright to use it as a food seasoning, but it should not be fully legalised," Kalla was quoted as saying by the Jakarta Post daily. Kalla was commenting on a recent study by two Indonesian agencies dealing with drug abuse that recommended the government review its policy to outlaw the use of marijuana for recreational purposes, the Post said. Many of dishes in Aceh province, where hemp plants are grown, such as mutton and beef curry are said to be laced with marijuana seeds to give them a distinctive local flavour. A drug expert from the National Narcotics Agency reportedly said Indonesia should follow the example of countries like the Netherlands, where marijuana is legal, because it is not as harmful as people thought. Ratna Dwikora, the owner of an Acehnese food restaurant in Jakarta, told the Kompas newspaper "marijuana is available in any Acehnese kitchen just like coriander". 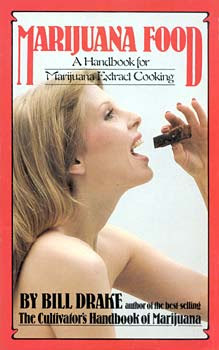 "Marijuana is a widely-accepted cooking spice there," she told the newspaper. Indonesia imposes harsh penalties, including death, for narcotic offences as the country faces a growing drug menace. Five Chinese nationals, a Dutchman and a Frenchman who appealed against the length of their convictions on drug charges were instead sentenced to death last month. Six young Australians were sentenced to death last year for heroin smuggling on Bali, sparking anger in Australia where capital punishment has been abolished.